We just opened a new position on our sales and marketing team for an applications engineer. This person will get to generate meshes, write scripts, maybe run some CFD and then share the results with our customers and the world. We also have an opening for someone on our technical support team. This person gets to work directly with our customers on a wide variety of CFD applications and help them resolve problems. 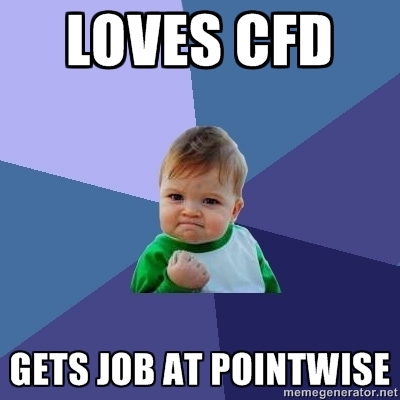 We’d love to see your resume – email it today to jobs@pointwise.com.